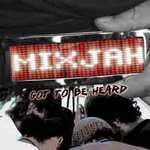 Sign up for Broadjam today to follow MIXJAH, and be notified when they upload new stuff or update their news! Been together bout 7 years. Mix of Sublime/ Steel Pulse/ Culture/ Loco- Moco styleee. Seriously not serious yet. If something big happens we are gone. Mahalo to the people of Hawaii for their support.